Translating to ‘in the presence of divine breath’, Aro Hā is a health and wellness retreat sure to inspire, invigorate and surprise. Something has gone awry in our modern world. At a time when so much exists to make things easier, how is it that everyone seems so terribly busy? Somewhere along the way we’ve lost the art of taking a break, of disconnecting, of being in the moment. 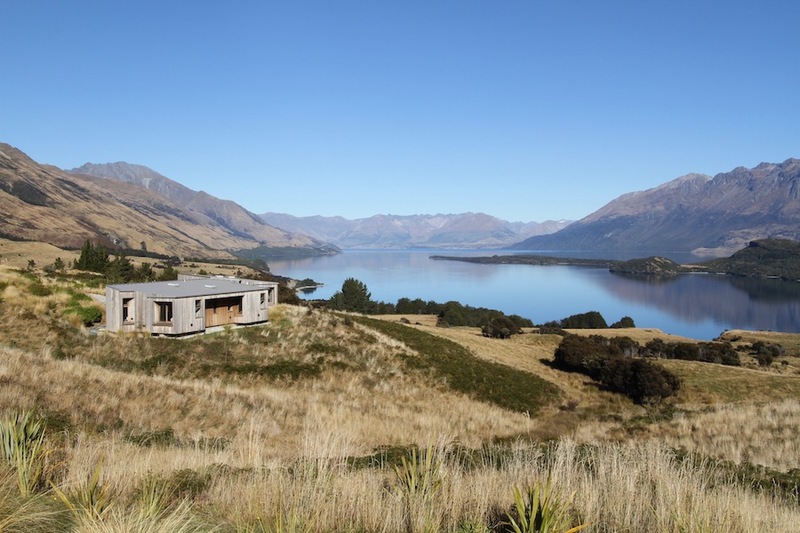 So when I discovered Aro Hā, a wellness retreat nestled in the sun-kissed mountains south of Glenorchy, I began to wonder - could this be the antidote to our increasingly frenetic lives? Despite Aro Hā’s promise of quietude, I found myself hesitant to go. You see, I was a bit of a wellness sceptic. Perhaps most of us are, an unfortunate side effect of that aforementioned busyness. But, as with most things in life, if you give the unfamiliar a chance, it will repeatedly surprise you. As it turns out, such nervousness was unwarranted for it’s remarkably easy to embrace the Aro Hā routine. Each morning I woke for yoga to the sound of a Tibetan singing bowl, while stars still filled the late-autumn sky. The view from the studio’s window - through which you can spy pre-dawn clouds hanging over Lake Wakatipu - may make poses wobbly but such faux pas are understandable. Readjusting for a better view of the sunrise is sure to complicate the downward dog of even the most experienced yogi. Then I’d hike - uphill more often than not but wondrous nonetheless - before restoring my aching limbs in the Aro Hā spa. While this space may come with Nordic overtones when it comes to design, watching a trio of cows graze on a nearby hill while soaking in the outdoor plunge pool, you can't doubt where in the world you are. Afternoons are filled with pilates, meditation, dynamic playground sessions (where you break a sweat moving to mighty fine tunes) and, the pièce de résistance, a daily massage. There are also classes in the kitchen, an open space where culinary questions are encouraged, flavours delight and edible flowers are grown in abundance. Which brings me to the meals; colourful, nutrient-rich creations that demonstrate just how artful raw, vegan cuisine can be. Capable of keeping my penchant for cheese, caffeine and alcohol at bay, everything here tastes a little bolder and looks a little brighter with as many ingredients as possible grown on site. Such repose and splendour wouldn't be possible without a remarkable team. The friendly, knowledgeable staff - their skin aglow and their energy limitless - are a testament to the Aro Hā lifestyle; and the most glowing of all is Co-Founder Damian Chaparro, for whom Aro Hā is more than just a labour of love. He’s built a hideaway that showcases the environment (this luxury, eco-friendly complex simply couldn't exist anywhere else) and remains on site to guide guests through their experience. He cares, smiles and informs, and acts as if every personal discovery is the first he’s been privy to. Encouraged to abandon technology and lose track of time, I experienced periods of euphoria, followed by moments of exhaustion, somehow arriving at the end of my six day escape at a restful, more accepting place. For you see, odd things happen on retreats. You’ll probably cry and you might not know why. And if you do, the cause will seem far more conquerable come morning. And while the experience may lead to a physical change, what’s fascinating is how open you become, how much you’re willing to share. At Aro Hā you scale mountains, cross lakes, hike along icons (the Routeburn Track is as stunning as everyone says), dance blindfolded and embrace your inner child, leaving with a sense of calm you may have never thought possible. Scepticism be damned. This piece appeared in the New Zealand issue of Lodestars Anthology - you can order a copy here.